← We’re going to Jezero! Mysterious! 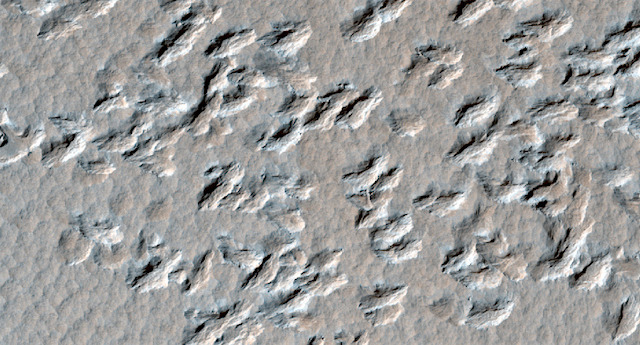 These interesting-looking features are on the floor of crater near Amazonis Mensa. They might be wind-driven erosional features. This entry was posted in Reports and tagged Amazonis Mensa, Beautiful Mars, eolian processes, High Resolution Imaging Science Experiment, HiRISE, Mars Reconnaissance Orbiter, MRO, NASA, University of Arizona. Bookmark the permalink.